CNN reported on Thursday that a 12-year-old girl was in police custody and being questioned by authorities after a shooting at the Sal Castro Middle School in Los Angeles that morning left five people injured, including four students. Two of the victims suffered serious gunshot wounds. 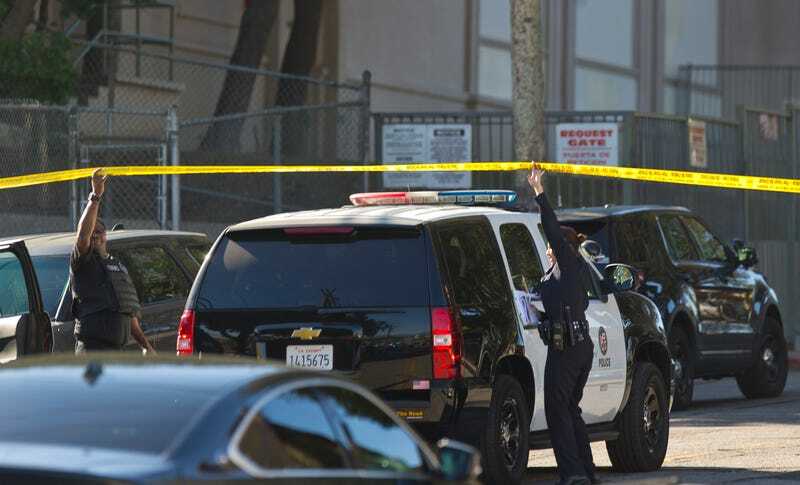 The Los Angeles Times reported that the gunshots began ringing out shortly after the school day began. When police arrived at the scene at around 8:55 a.m., they found a 15-year-old boy had sustained a gunshot wound to the head, and a 15-year-old girl had been shot in the wrist. Dr. Carl Chudnofsky of the L.A. County-USC Medical Center said that the boy who was shot in the head is expected to make a full recovery. The other three victims, who suffered less serious injuries, are a 30-year-old woman, a 12-year-old girl, and an 11-year-old boy, according to the Times.